After a health-impacted 2014 left him on the sidelines, our resident Jet Set Super Vet Stuart Lumb has been making up for lost time in 2015. 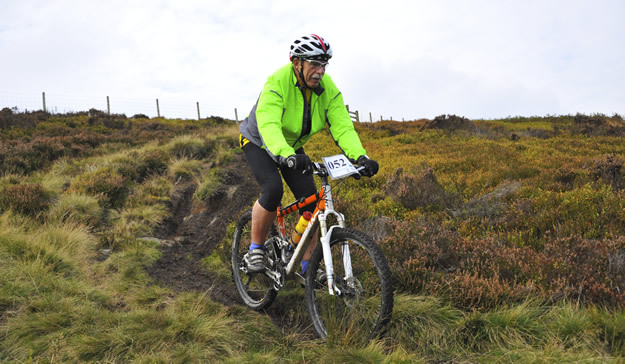 While it hasn't all been plain sailing - including a 'DNS' at the Cross Triathlon World Champs - he ended his year on home turf in Yorkshire on his favourite terrain, taking part in the Calderdale MTB Marathon (www.cmbm.org.uk). 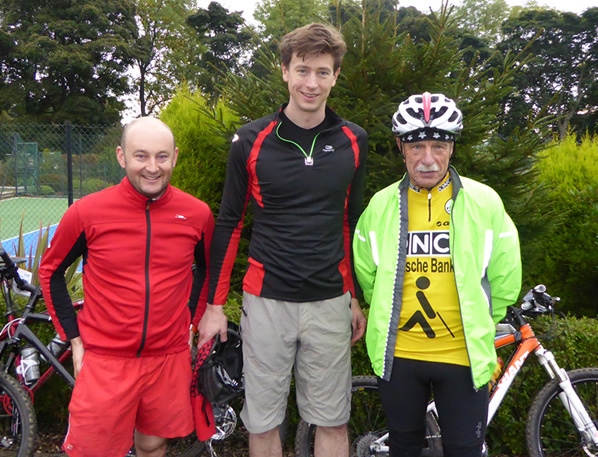 "Varied, extremely well organised, with typical friendly West Riding folk acting as marshalls and helpers. The views are stunning as well" he reports on a day when he wasn't Lanterne Rouge either! On Ilkla Moor Baht ‘At - not quite! Whilst most of the triathlon world in early October was focussed on Kona, JSSV had more important issues to worry about. Namely, getting to Pecket Well, West Yorkshire, by midday on Sunday Oct 11th, in order to beat the check point cut-off imposed by organisers of the annual Calderdale MTB Marathon. Happily, I got there with 30mins to spare! At least I was fit, healthy and going well, which was more than could be said in relation to a race I should have been competing in two weeks previously, namely the 'small' matter of the ITU World Cross Triathlon Championships in Sardinia. I revisited the bike leg at Cala Ginepro (ditto Xterra 2009/10), on the Thursday morning before the race and felt fine, but that evening went down with a horrendous cough/cold/sore throat. At my age (Vintage +), discretion has to be the better part of valour and so I posted a DNS, although the ITU results have me down as a DSQ. Annoyingly, my newly logo'd up personalised GB trisuit is still in its wrapper! Our small but talented GB squad came home with four medals which was a great effort. To add to my woes in Sardinia, we had 48 hours of torrential rain plus I put a dint in my hire car - grrrrr!! Cross Tri still seems to be the Cinderella of triathlon – why it doesn't attract more athletes is beyond me. British Triathlon has pulled the plug on the British Championships, but we do fortunately have XTERRA England. Other initiatives are being explored so let's hope they bear fruit. To return to West Yorkshire, a 26mile MTB event may seem small beer to many hardened off-road bikers, but after my recent travails to me it was my World Championships. This event has been running since 1999 and is put on extremely efficiently by the Sowerby Bridge 24th St Paul's Scout Group. Run over 26miles, the altitude gained and lost is 3,800ft, with an average completion time of 3.5hrs. 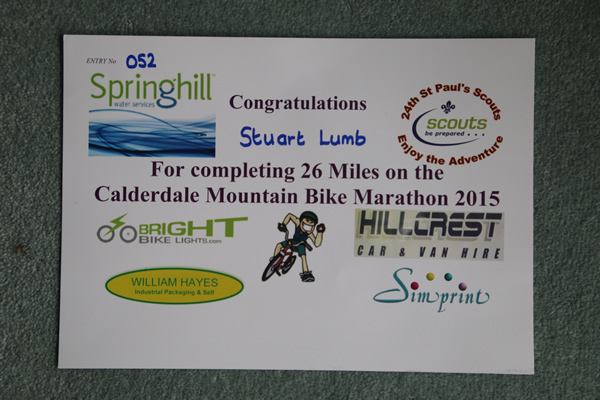 This year there were 285 finishers which was a bit down on 2014. I was joined this time by my nephew David Green and his former school chum Edmund Hunt, which beats being on "one's tod". All credit to Edmund as he was still putting a complete new brake kit on his bike at 10pm the night before the event! Sunday dawned fine and clear which was most encouraging and we duly drove up to Sowerby to park up and register. Just after 9am and we were off, on typically narrow twisting Pennine lanes. I tend to just remember the fun bits of races / routes but shouldn't have forgotten the steep climb at Mill Bank. I was riding my trusty Giant Anthem 26er soft tail and thanks to the triple just got up the climb. In the past other riders stopping suddenly had a knock on effect on me and I have great difficulty getting going again and hence resort to hike-a-bike tactics. I also have a Planet X On-One Durty 29er hard tail. Even though it's carbon it weighs 400gms more than my Anthem and the gearing is not as low as my Giant, though I shall have to see if I can fit a bigger cassette, as a 29er takes the bumps a lot easier than a 26er. This trend to a single chain wheel is fine for the youngsters but no good when you get to be Vintage + !!!! The route which was quite technical - for me anyway - took us down into Mytholmroyd, where the road, railway and canal all run squeezed together along the valley bottom. From Hebden Bridge we climbed steadily, following the same route as this year's Tour de Yorkshire Etap – on again in 2016 . Who would have thought that when I was a six year old kid walking to primary school, 66 years later I would be covering the same ground but this time on a mountain bike – quite unreal. The route follows the Hebden Valley, passing my home where I lived for 25 years and up on to the moors. The weather was great – no wind or rain and I was travelling well. Back on to tarmac and into Pecket Well, briefly emulating those 2014 Tour De France riders. 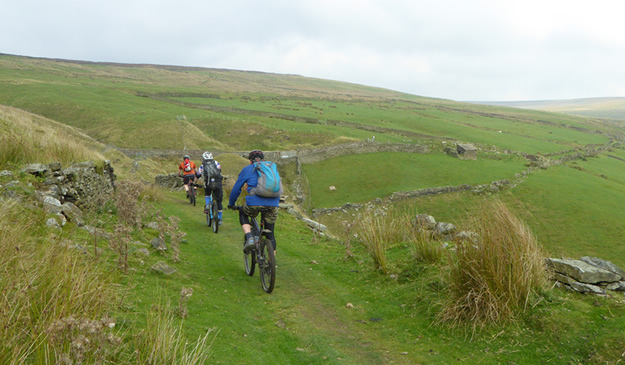 The route now climbed across the moor heading for the Luddenden Valley. It's usually quite muddy but this year it was, relatively, ok. The descent off Midgley Moor is technical – and where my good photographer buddy from SportSunday Event Photography was laying in wait. He even complimented me on my descending – praise indeed! Then it was back on to tarmac and downhill to boot so a chance to take it easy – for good reason – as the sting in the tail is a savage climb from the valley bottom at Luddenden Foot back up to the finish. I managed half of it but aching legs meant a stint of hike-a-bike again. The finish was a welcome sight and a steaming hot dish of chilli and a hot cuppa were an added and welcome bonus. This was my third event and I was delighted to beat four hours (3.58) and post my fastest time. I came off a few times but nowt serious, plus my new Lazer helmet, courtesy of Du Pont / Danisco, lives to fight another day. Thanks also to Cranswick plc for their generous sponsorship; I survived the event pretty well unscathed, so was delighted about that, plus was not in my usual “Lantern Rouge” slot! The event is varied, extremely well organised, with typical friendly West Riding folk acting as marshalls and helpers. The views are stunning as well. 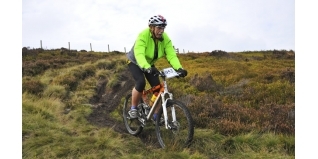 Naturally returning to my roots makes the event especially poignant for me, but even so its an MTB event definitely worth doing – next year's is Sunday October 9th 2016 – so get it in your diary! After not competing at all in 2014 due to health issues, I went at it with a vengeance this year, racing Sprint and Standard triathlons, numerous Etaps and an MTB event. In hindsight, "Jack of All Trades and Master of None" springs to mind. Chopping and changing is not easy at my age but in any event as my No. 1 supporter Mrs. JSSV keeps reminding me, "be grateful at your age that you can swim, bike and run, preferably still in that order." Roll on 2016! !